The 28-21 Atlanta Hawks are in Houston tonight to face the 36-16 Rockets. Dwight Howard’s reception in Houston figures to be rather chilly, as the center spent the past three seasons in Houston and it didn’t end well amid constant turmoil that included chatter that star guard James Harden didn’t like playing with Howard. Howard signed a three-year, $70.5 million free-agent deal with the Hawks and and has averaged 13.6 & 12.8 . He excelled against the Rockets earlier this season when he recorded 20 points and 15 rebounds in Atlanta’s 112-97 home victory back on Nov. 5. He already has 31 double-doubles this season after having 38 in his final season with Houston. He had a streak of five straight double-doubles halted when he had six points and 11 rebounds in Wednesday’s 116-93 loss to the Miami Heat. Howard teams with PF Paul Millsap (17.9 & 8.2) up front, while Dennis Schroder (17.4 & 6.3 APG) has capably stepped in as the team’s starting PG, after Atlanta traded Jeff Teague. Harden has thrived without Howard around, averaging 28.4 PPG, 8.2 RPG and 11.5 APG. However, he is dealing with a knee injury and has been limited to just 12.5 PPG on 6-of-26 shooting over the past two games. That said, he indicated he plans to play against the Hawks (would be a shock if he missed). The Rockets are the NBA’s second-highest scoring team, averaging 114.1 PPG. 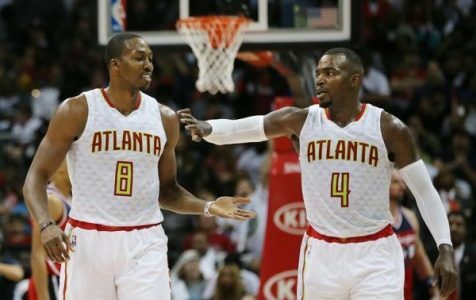 The Hawks have alternated wins and losses for six games and are 6-5 over their past 11. Their inconsistency has been a season-long issue and remains mystifying. Meanwhile, the Rockets won 20 of 22 games from Dec. 1 through Jan. 10 but are now playing much like the Hawks, having gone 5-7 their last 12. I’m taking the points.